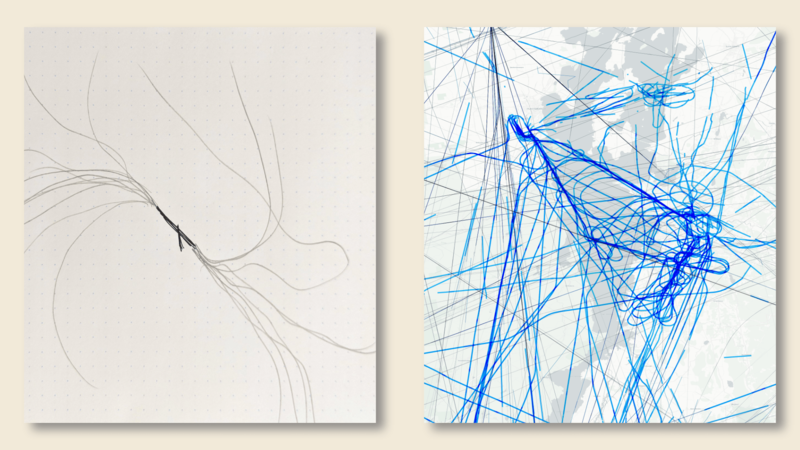 I've always wanted to use aircraft flight paths for data visualization because it is an interesting, relatable dataset which also has an organic quality to it. The data is also very big and hard to come by, which would present a technical challenge for me to consume and visualize. I decided to start by trying to determine the pattern of how airplanes fly around my hometown of Burlington, Vermont.